I posted that I had a goal of finishing 18 cards in one day. If we count one day as 24 hours *okie is grateful that a few of her scrappy friends pointed this out* then I did make my goal! I did three designs and 6 of each one. And not surprisingly they are all Diva Va Voom cards! This is the first of the cards I am posting. This is the one that slowed me down the most. I just couldn't find the right paper!! I think the colors were hard to match for me but when it was all said and done I was pleased with the results. The patterned paper is DCWV and the pink swiss dot I think is Bazzill, as is the gemstone star strip. The star strip is from Graphically speaking. I also had problems with choosing a sentiment for this card. I started out with "dream" but then couldn't think of an inside sentiment. 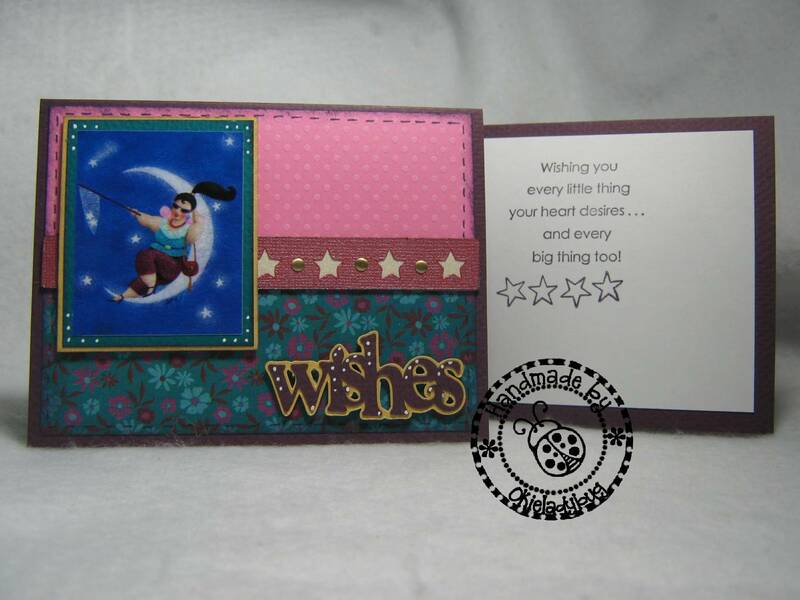 When I looked through my Stampin Up stamps I found this sentiment that I thought would work and changed the "dream" to "wishes" from the Winter Woodland cart. 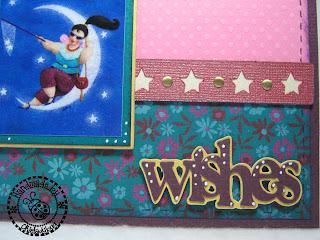 The stars stamp is a Studio G.
Here on the close up you can see where I used heat set studs as embellishments. I actually started using these a few months back before the I-Rock came out! LOL Back then when I showed my friend Linda she said she liked them and off to Walmart we went so she could get some also. But now Walmart doesn't carry the ones we got, which were in a round container and had circles and stars in several metallic colors. Of course I had to doodle a little on the card *okie hates how doodling slows down progress but just can't seem to stop doing it*. But as I say a little doodling can always add a lot to a project! Come back tomorrow to see another card I completed! Everything is so perfect! Colors, paper, sayings, just wonderful. Great job 18 cards in 24 hours. Love coming to your website everyday, you are a great Inspiration!!!!!! 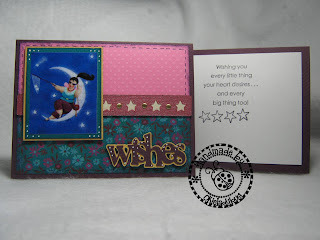 Very nice card! I can't doodle, so I really like how well yours always turns out.